Charles Boyles was born in 1888 and apparantly started taking photos in the late 1920's through to the early 1960's. Charles Boyles died at the age of 83 in 1971. This window of history serves as a broad focus for this website. *This page ONLY lists photos in the collection when the year is known. Many photos are NOT listed on these pages. Royal Commission into the political dealings of Williamstown powerbroker (and VFA President 1929-43) John James Liston clears him of wrongdoing. No Brownlow Medal be awarded because of a tied result between three players with the most '3' votes. New rules in 1989 issued retrospective awards to Harry Collier and Allan Hopkins. Under the 1989 rules, Stan Judkins missed out. VFL uses Argus Method of organising the finals seriers for the last time. Under the Argus method, if the Minor premiers lost the week 3 final then they had the right to a rematch to playoff for the premiership. In 1930 Collingwood lost the final, but won the rematch. Collingwood (VFL) win four consecutive VFL Premierships. Seventh Australian Football Carnival in Adelaide, won by Victoria. Three young Geelong architects create the first APEX club as an organisation to contribute to the local community. First 'Somers Camp' recreation camp for teenage boys, named after the instigator, Victorian Governor Lord Somers. Aboriginal (and Queensland) fast bowler Eddie Gilbert 'no – ball'ed 13 times during a Sheffied Shield Match in Melbourne. General John Monash, leader of the Australian Army at the end of WW1, died of heart disease in Melbourne on 8 October 1931 and given a state funeral. Attended by some 250,000 mourners. Page-McIntyre Final Four system introduced. This gives top two teams at end of the Home and Away Season a double chance. 'Bodyline' controversy rocks Australian cricket. Alan Geddes plays entire second half of the VFL Grand-Final with a broken jaw. 8th Australian Football Carnival held in Sydney, won by Victoria. Melbourne (VFL) changes from "The Fuchsias." to the "The Demons"
St Kilda 13.19 (97) defeat North Melbourne 11.17 (83) , despite having only 15 players left on the field at the end of a brutal match. The brawls included Broken ankles, ribs and both forward Jack Anderson and Roy Bence knocked unconscious. A young woman's pyjama-clad body is found in a drain in Albury. Her death becomes known as The Pyjama Girl mystery. Captain Cook's cottage is opened to the public, after being dismantled in England, then shipped to Australia and reassembled in Fitzroy Gardens, Melbourne. Journalist Egon Kisch invited to speak in Melbourne.. In Sydney, the government attempted to bar his entry by giving him a dictation test in Gaelic. Kisch challenged this in court and won. Fitzroy (VFL) player Colin Benham kicks a goal after the final siren. The ball was going to miss, but hit one of the boys who ran onto the ground and deflected for a goal. In response Depression-era setbacks, miners at the Wonthaggi Coal Mines go on strike. After five months the Menzies government eventually succumbs to the Miners' Federation's demands. Journalist Egon Kisch was invited to speak in Melbourne, but he was prevented from leaving his ship at Fremantle. In Sydney, the government attempted to bar his entry by giving him a dictation test in Gaelic. Kisch challenged the ban and won. Bob Pratt South Melbourne (VFL) Kicks 15 Goals against Essendon, Round 3. Pratt kicks a VFL record 150 goals for the season. 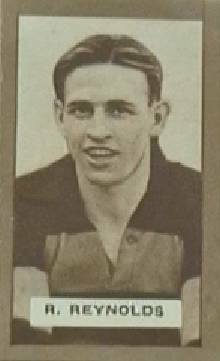 George Doig kicked a then record 152 goals for East Fremantle in the 1934 WANFL season. In his first VFL match for Carlton, Clen Denning kicks 6 goals with his first 6 kicks. VFA Grand Final held at the Melbourne Showgrounds after rain delayed the match and the original venue of Olympic Park was not available the following week. Practice match at Olympic Park under lights between Richmond and South Melbourne. First game under lights since 1879. Attempts to organise a second match the following week resulted in a ban on night football. Abdication of Edward VIII of England in December 1936 widely discussed. Famous 'Underpants' case (Grant v Australian Knitting Mills) in Australian Consumer Law. Privy Council in England. Privy Council in England was the final arbitor of Australian Law until 1986. First undersea cable connects Victoria and Tasmania. Death of last Tasmanian Tiger at Hobart Zoo. The 'Spirit of Progress', the new Sydney Limited express train, completes its first official trial journey. Ninth Australian Football Carnival held in Perth, won by Victoria. Six weeks after Australia entered World War II, Prime Minister Robert Menzies announced the reintroduction of compulsory defence training. Unmarried men aged 21 were required to undergo three months training with the militia. The first CAC Wirraway training aircraft, A20-3, takes to the air at Fishermans Bend, Victoria. VFL reintroduced boundary throw ins (reintroduced into the VFA in 1938). Previously a free kick was awarded against the team who last touched the ball. This rule change increased play on the wings. 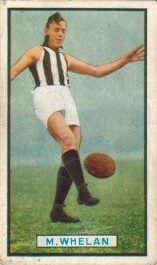 After the completion of the 1939 season, Centre Half Forward Ron Todd leaves Collingwood (VFL) for Williamstown (VFA), one of the highest profile players to move from the VFL to the VFA.